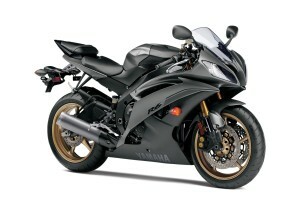 The R-15’s look is stirred from the Yamaha YZF-R6. Distinct from the first edition, the v2 has a split seat design, LED tail light, higher seat height, larger gear ratio (15/47), wide tires, rear mudguard, longer wheelbase, and revamped tail and middle section. The engine performance was so similar, with having a six-speed transmission and a linked type sports suspension, which has added on the back. Colors Black, Blue, Gold, and Red. 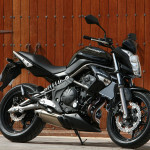 The other features include that the cooling system of the bike is of a liquid-cooled type. The gearbox type is manual and the number of gears is six. The clutch of the bike is the Wet multiple disc types. 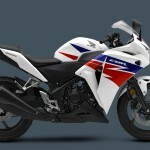 The wheel size of the Yamaha YZF-R15 is about 17 inches and alloy wheels are present. Turn signal and pass light are present. 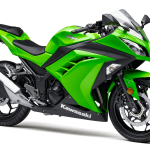 The reserve fuel capacity of the bike is 1.2 liters while the overall fuel efficiency is 42 km/liter. The delta box is of chassis type and front suspension is telescopic while the rear suspension is linked type mono cross. 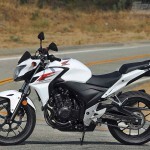 Competitors: Honda CBR150R ,Hero ZMR and the KTM Duke 200.